In the past five years there have been several other attempts by terrorists to attack Israel from the sea. * In November 2004, a heavily armed terrorist in a wetsuit was shot and killed after IDF/Navy surveillance spotted him attempting to swim in from the sea and attack a settlement in northern Gaza. 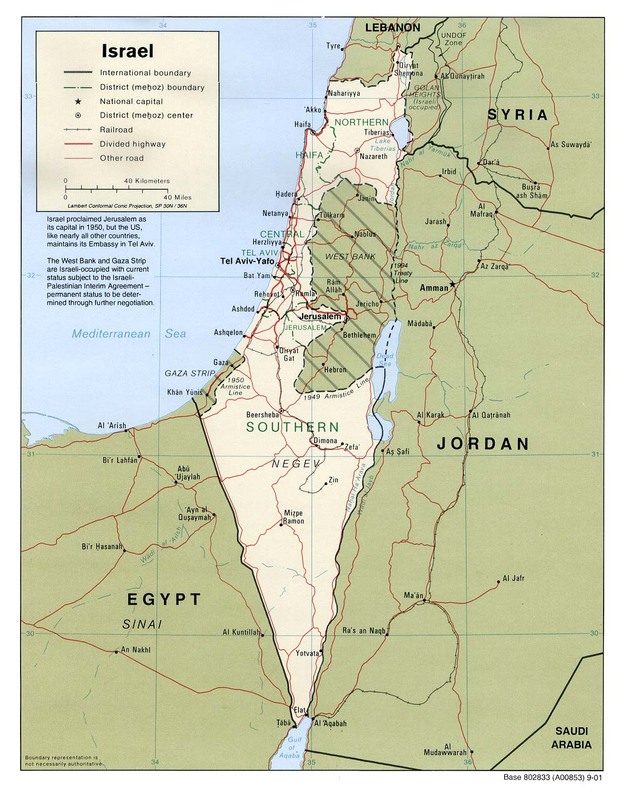 * In November 2003, Israeli security forces arrested an Islamic Jihad fugitive who was recruited to assist in planning and launching attacks from the sea. * In January 2003, an IDF/Navy gunboat on patrol off the north Gaza coast spotted a suspicious craft sailing in a restricted area. When the craft ignored warning shots to halt, the crew shot it, and the explosive-ridden craft blew up. * In November 2002, a naval command post in the Gaza Strip spotted a Palestinian fishing craft that had entered Israel's territorial waters and was sailing in a restricted area. A IDF/Navy patrol boat was sent to inspect the boat, whose crew ignored calls to halt and blew up near the gunboat, wounding three soldiers. * In August 2002, an IDF/Navy command post in the Gaza Strip spotted an armed terrorist wearing a wetsuit leaving the water and approaching a nearby Israeli community. An IDF patrol sent out by the command post shot and killed him. He was carrying a Kalashnikov rifle, eight grenades, four ammunition clips and two containers of acid. * In July 2002, security officials seized a shipment of guns and other weapons intended for the Palestinian Authority at the Israeli port of Ashdod. Two months earlier, a container had been packed with crates supposedly filled with a donation of toys sent to the Gaza Strip by an Islamic charity, but Israeli officials found they contained hundreds of pounds of guns, ammunition, telescopic lenses, and night-vision equipment. 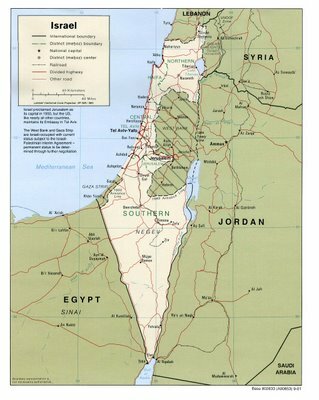 * In June 2002, IDF units thwarted an attempt by terrorists to infiltrate Israel in the north Gaza Strip. Security forces spotted two terrorists swimming near the Gaza settlement of Dugit. The soldiers shot and killed the terrorists, who were carrying a bag with grenades, a Kalashnikov rifle and four ammunition clips. The security vacuum that formed in the wake of Israel’s September 2005 withdrawal from Gaza emboldened terrorist groups to make five attempts over the past eight months to smuggle weapons and explosives into Gaza via the sea. In just the last two weeks alone, Israeli naval forces intercepted more than a ton of high-grade military explosives in two separate attempted smuggling incidences involving fishing boats off Gaza. The desperate situation has prompted the Israel Defense Force to unveil new counter measures including a robotic patrol vessel to deal with terrorist suicide bomb boats. Link to report on the second interception here. When it comes to strategy and military affairs, folk wisdom is worth a century of scribbling theorists. Your father could have told you how to handle the Mogadishu warlords: "If you start something, son, finish it." We were close to finishing it. And a cowardly president quit. 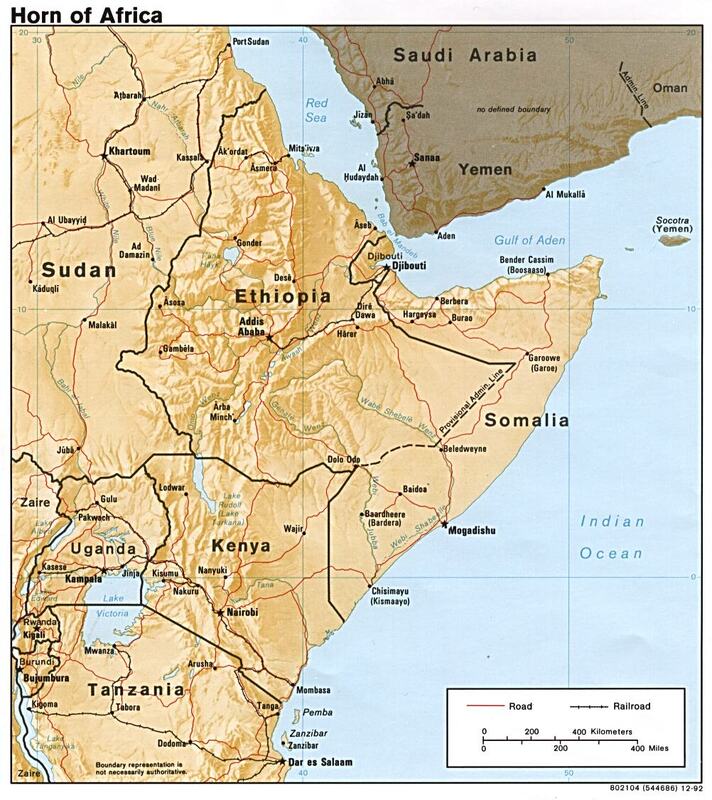 Osama bin Laden repeatedly cited the pullout from Somalia as evidence that Americans were weak and wouldn't fight. 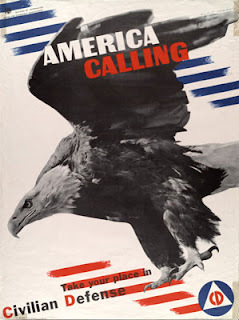 Our rewards for quitting were the attacks on our troops housed in the Saudi Khobar Towers complex and on our embassies in Tanzania and Kenya - next door to Somalia - followed by the USS Cole bombing. Somalia was a global sideshow. We walked away. Now it threatens to become a prime refuge for terrorists. And a much tougher nut to crack. Somalia is on the brink of major disaster as conflict spirals out of control in Mogadishu and donors fail to respond to humanitarian emergencies in the lawless nation, a senior UN envoy said Tuesday. The warning came as heavily armed Somali fighters occupied Mogadishu's main hospital, forcing a near shutdown in key services to patients wounded in factional fighting that has rocked the city, witnesses said Tuesday. "We need a combined approach to the problem of Somalia now," said Dennis McNamara, the UN special adviser on displacement. "It has been one of the black spots that we have collectively ignored for too long and we cannot afford to do that." "If this conflict is not contained quickly, we may well face a new crisis which the world will be reluctant to respond to," he said. "We have a small-scale humanitarian disaster, it will become a big disaster." In addition to over a million drought victims, Somalia is home to 400,000 displaced people, 250,000 of whom are living in squalid settlements in Mogadishu, wracked by heavy fighting since February. Access to them is virtually impossible, relief shipments by sea complicated by increasingly brazen pirates off the unpatrolled coast and donors have fallen far short of meeting urgent appeals for assistance, McNamara said. Yemen, Jordan and Somali are talking over instituting a first-ever regional center for fighting piracy and armed attacks on ships in the Red Sea and the Gulf of Aden. The center, expected to be located in Yemen, will be set up in coordination with the International Maritime Organization (IMO). Naval Expeditionary Combat Command (NECC) stood up Riverine Group 1 during an establishment ceremony at Naval Amphibious Base (NAB) Little Creek, May 25. 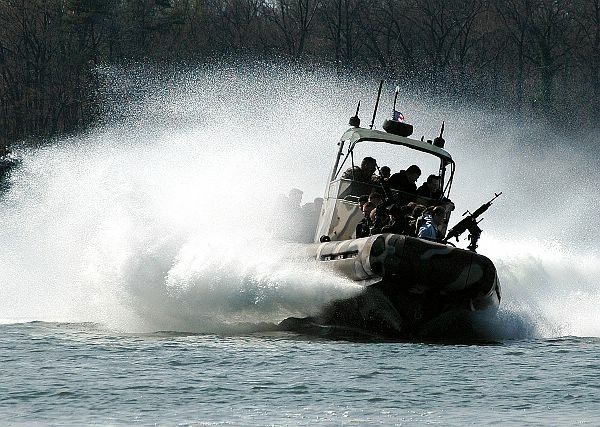 According to Rear Adm. Donald Bullard, NECC’s commander, Riverine Group 1 is just one element of the newly created NECC, which integrates all war fighting requirements for expeditionary combat and combat support elements so the Navy is more capable, responsive and effective in the global war on terrorism (GWOT). Riverine Group 1 is preparing to deploy next year and will be made up of three squadrons and approximately 900 Sailors. Rear Admiral Donald K. Bullard of Naval Expeditionary Combat Command opened the second day’s sessions with a presentation offering substantial food for thought vis-à-vis all things riverine. Delineating the Navy’s expanding riverine mission, Admiral Bullard also stressed the importance of the Navy’s operational big picture—and of understanding the riverine mission in a larger context. 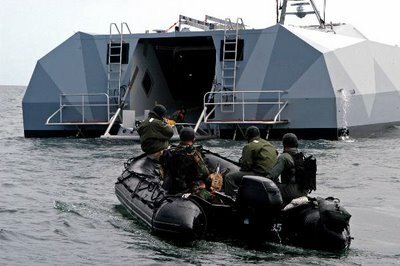 Riverine is one category among others on Expeditionary Combat Command’s functions-and-capabilities checklist: maritime security, riverine and boat operations, diving and salvage, logistics, construction, detainee ops, law enforcement, etc. Navy Rear Admiral Donald K. Bullard stressed the importance of placing riverine ops in a larger context. Even as its own operational subset, the riverine role is an expanding one; the goal ultimately is to bring area control, counterpiracy, interdiction, insert/extract, fire support coordination, and identify/locate/destroy missions firmly and officially into the riverine sphere. The global war on terror is the Navy’s cue to rethink itself, suggested Bullard, and pointed out “the three r’s” as providing the rethink methodology. 1) Reorganize accordingly. 2) Recognize; that is, recognize “where the gaps are ... where we need to expand into new capabilities” to be an ever-more viable fighting force in the war on terror. 3) Redistribute “the current force structure in the Navy” to add fluidity to the Navy’s ability to fight this new kind of war in a new century. The number of Somalis who are getting out by sea to Yemen increased in last few days because of the current bloody warfare in the Somali capital Mogadishu. 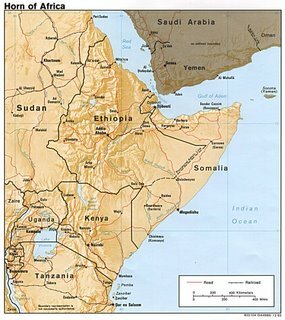 Official Yemeni sources said the armed conflicts between Islamists and Somali warlords, particularly in Mogadishu, pushed so many Somalis to flee to Yemen where authorities easily give them the suitable refuge since they get to Yemeni lands. But sources said that the death toll at sea during trips from Somalia to Yemen through the Gulf of Aden is getting higher. They said the running off Somalis use poor and grossly overloaded boats belong to human traffickers so the number of deaths by sinking in sea waters noticeable increased in last few days. About 1,000 people have died since September, trying to make the trek from Somalia's northern coast across the sea to Yemen. And that is just an estimate, since nobody really knows how many boats, all of them grossly overloaded, attempt the trek from the shores of the remote Puntland region in northeastern Somalia. Security source in Shabwa said 113 Somalis, 74 women and 12 children, legally arrived to Yemeni coasts few days ago and that security procedures are being taken in coordination with the Yemeni Coast Guards to tighten security along the Yemeni coast to prevent illegal entries through Shabwa coasts. The source said that 150 Somalis, including women and children, died in the last few months when the poor boats sank in water. It said that the Shabwa prosecution is investigating a group of pirates, two Yemenis and six Somalis, over smuggling Somalis to Yemen. UPDATE: Hospital seized by gunmen. The top U.S. Navy commander in the Pacific is proposing that the Indonesian, Singaporean and Thai navies acquire U.S. technology to help track suspect ships in the Pacific. The idea is part of a U.S. military effort to boost awareness of possible pirate and terrorist ships in a region that is home to a large share of the world's trade and many of the world's fastest-growing economies. The plan would put the United States in a supportive, not front-line, role in any maritime security effort in Southeast Asia. This approach is likely to go over better with countries in the region than having U.S. troops and ships help secure the area, a possibility U.S. defense officials once reportedly suggested but backed away from amid vocal opposition from countries in the region. 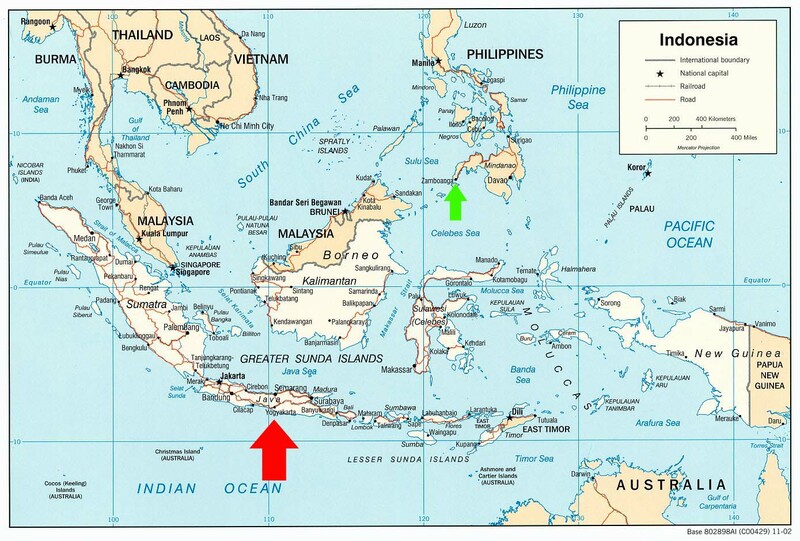 The United States is particularly concerned about keeping pirates and terrorists out of the Malacca Strait — a waterway that separates Indonesia from Malaysia and Singapore. Half of the world's oil trade and a third of global commerce passes through the strait, making it a critical channel for regional and international stability. Adm. Gary Roughead, U.S. Pacific Fleet commander, said piracy and maritime terrorist attacks, like the 2000 suicide bombing of the USS Cole in Yemen that killed 17 American sailors, raise costs for shippers by inflating insurance premiums and otherwise disrupting trade. "The oceans are great facilitators of trade and commerce, but they are also facilitators of transnational criminal activity," Roughead said in a recent interview at his Pearl Harbor headquarters. "The use of the maritime domain and some of the sea lane for terrorists to move back and forth is a great problem." Roughead said he proposed to defense officials in Indonesia, Singapore and Thailand during a March trip that they use a U.S.-developed system that allows ships to alert one another to the presence of a suspect vessel. "We need to see what we're losing off our coastlines. This is step one. We have to have this," Admiral Harry Ulrich, Commander U.S. Naval Forces Europe and Africa, told the Seapower for Africa Symposium in the capital Abuja. "I start with maritime domain awareness. You did not hear me talk about boats, ships, missiles, guns or hardware," he said, adding that governments had to have good data so they could invest in the right equipment to tackle problems at sea. Ulrich described the situation in African waters as "grim". He said an estimated $1 billion were lost annually to illegal fishing off Sub-Saharan Africa, and stopping this could increase the continent's gross national product by 3 to 9 percent. Nigeria alone loses at least $1.5 billion per year in cargoes of stolen crude oil, Ulrich said. He also cited a report that ranked Somalia second in the world and Nigeria third for pirate attacks. Number one is Indonesia. Ulrich said a big part of the problem was that African countries had little information about what went on in their territorial waters, and AIS was a cheap way to solve this. The system consists of radio receivers, worth between $2,000 and $5,000 each, that can pick up signals from ships at sea. Under U.N. and International Maritime Organisation rules, ships of 300 tonnes or more must carry AIS transmitters that continuously broadcast their position, destination and cargo. The Admiral is spot on. President Olusegun Obasanjo has called for closer ties among African navies in order to put an end to the frequent threat to lives and economic activities, operations of sea pirates and crude oil thieves as well as all kinds of crime on the African waterways. Explaining why the closer cooperation among the African navies was necessary now, he said the Gulf of Guinea, located within the African maritime environment, was now emerging as another important economic centre for the entire world. Speaking further, Obasanjo noted that African maritime environment, must be made secure to enable the African countries to peacefully harvest the resources therein and as such must be made safe for free trade with the rest of the world. "Our maritime environment must not be available for terrorists, pirates and illegal explorers to use. Furthermore, the use of Africa’s waters for gun running, illicit trafficking in people and destabilisation of social, political and economic programmes of legitimates must be prevented" he added. Ridding the oil-rich Gulf of Guinea of pirates is likely to top the agenda at a three-day conference on African maritime security starting on Monday in the Nigerian capital, Abuja. Two hundred delegates representing 47 countries and 13 international organisations are expected at the second Sea Power for Africa Symposium, Captain Obiora Medani of the Nigerian navy told Agence France-Presse. The heads of 38 African navies will be in attendance. Discussions at the United States-sponsored forum will cover a number of topics including security in African waters, disaster management, environmental degradation and where to base the naval component of the African Union's standby force. On the security issue, delegates will study the particular situation in the Gulf of Guinea, Medani noted, based on a case study produced by the commander of US Navy forces in Europe and Africa, Admiral Harry Ulrich. The oil-rich gulf is frequently prey to pirate attacks, especially around Nigeria's Niger Delta area, where separatist movements are fighting an insurgency to demand a larger share of oil revenues. Nigeria is Africa's top oil producer and the sixth-largest oil exporter in the world, delivering about 2,6-million barrels a day. 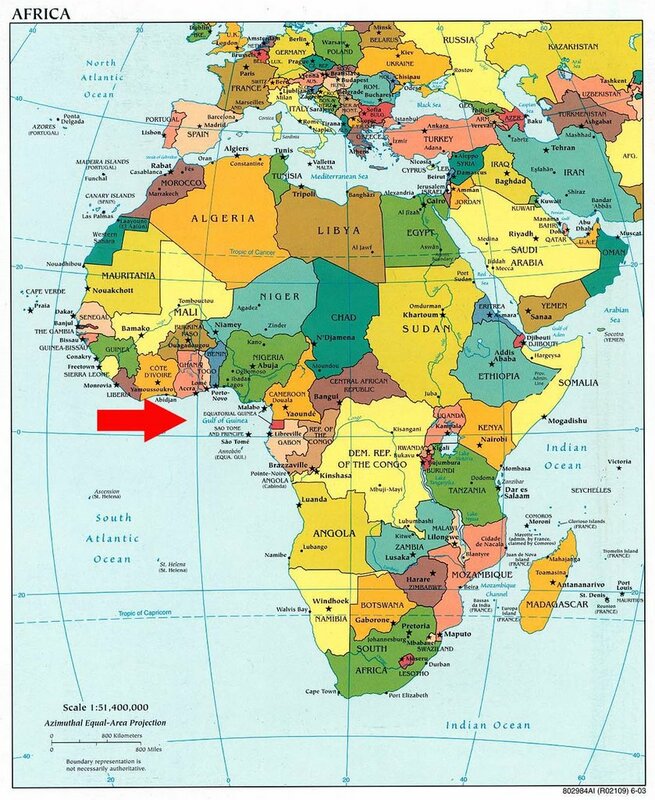 Nearby Equatorial Guinea is also one of the continent's main producers, and other gulf countries like Gabon and Sâo Tomé and Príncipe are believed to sit on potentially vast offshore reserves. The US has offered help with policing the waters of West Africa, which Ulrich, in a visit to Gabon in February, warned was home not only to pirates but also poachers, drug smugglers and human traffickers. Earlier this month six heavily armed pirates robbed a Russian tanker off the coast of Guinea, making away with all cash on board. Ideological allies of Mr. Chavez's who had been expected to win the presidencies in Mexico and Peru have plummeted in polls, as voters take offense at the Venezuelan leader's public campaigning as an insult to their respective nations' independence and sovereignty. Moreover, the backlash is threatening to spread to other nations, including Venezuela, and Mr. Chavez's checkbook diplomacy is adding to suspicions of a man who fashions himself as a 21st-century version of South America's liberator, Simon Bolivar. "The real size of the Venezuelan government is three feet high -- the size of a barrel of oil," said Diego E. Arria, former Venezuelan ambassador to the United Nations. Mr. Chavez has spent between $18 billion and $25 billion on foreign projects since taking power in 1999 -- on everything from paying off Argentina's debt to the International Monetary Fund to underwriting a popular samba festival in Brazil. In recent weeks, Mr. Chavez's spending and his use of the bully pulpit to back leftist political candidates in other Latin American nations has caused diplomatic spats with Nicaragua, Peru and Mexico, all of whom accuse the Venezuelan of meddling in their affairs. Many people are still believed trapped under rubble and collapsed buildings, but rescue teams say the chances of finding anyone alive are slim. Relief efforts are picking up speed, with teams from across the country and abroad arriving in the disaster zone. The area struck by the quake is densely-populated. The Indonesian Red Cross estimates some 200,000 people fled their homes after it hit early on Saturday morning. Longer NY Times report here. 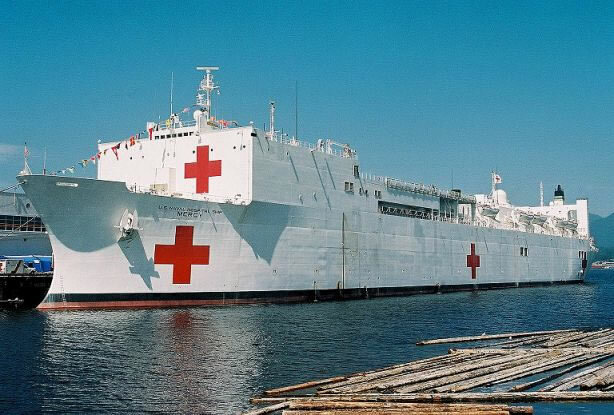 USNS Mercy is currently visiting the Philippines, which is a relatively short sail to the earthquake zone, if its help is needed and requested by the Indonesian goverment. Red arrow on map points to quake area. Green area is USNS Mercy location. Australia at risk due to port security? International security experts have expressed fears that al-Qaeda may launch a maritime attack. There are fears terrorists may use ships as floating bombs, or hijack a ship and ram it into a port. Labor said maritime security was a "gaping hole" in securing Australia against terrorism. Four bombs plunged down upon the destroyer, one of which struck the bridge, killing and wounding all personnel within the structure. Lying dead among the ruins was her captain, Commander Charles E. Tolman. Two bombs smashed on her bow and another exploded below her waterline, splitting open her hull plating. Severely crippled, DeHaven lost all power, came to a halt and began to settle swiftly by the bow. Five minutes after the last bomb had hit, the destroyer's bow was well under, her stern high out of the water. Ensign C.L. Williams, the only officer who was not wounded, realized that DeHaven was going down and passed the word to abandon ship. While the personnel below decks were scrambling to escape from out of the topsy-turvy hell in the lower compartments, DeHaven suddenly upended and plunged to her watery grave, taking 167 members of her crew down with her, to rest forever on the floor of "Iron Bottom Sound." Shortly after midnight on 28 April 1944, nine German torpedo boats moved into Lyme Bay, along the southern coast of England near a place called Slapton Sands. Drawn in by heavier than normal radio traffic, they suddenly found themselves caught up in the midst of Operation TIGER -- one of several amphibious exercises secretly being conducted by the Allies in preparation for the Normandy Landing. In minutes the German torpedoes hit their mark. 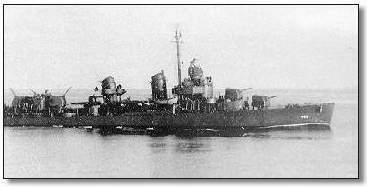 One LST (landing ship, tank) was seriously crippled. Another burst into flames trapping many of the victims below deck. And a third sank immediately, sending hundreds of U.S. soldiers and sailors to a watery grave. 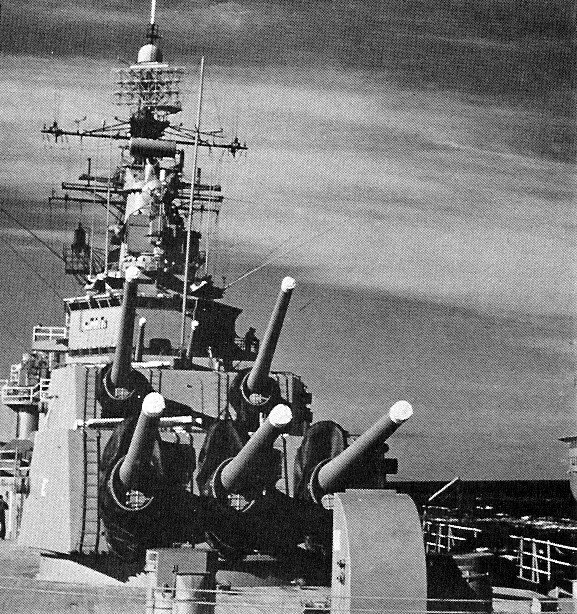 On the evening of 3 April 1933, Akron cast off from her moorings to operate along the coast of New England, assisting in the calibration of radio direction finder stations, with Rear Admiral Moffett embarked. Also on board were: Comdr. Harry B. Cecil, the admiral's aide; Comdr. Fred T. Berry, the commanding officer of Lakehurst's Naval Air Station; and Lt. Col. Alfred F. Masury, USAR, a guest of the admiral, a vice-president of the Mack Truck Co., and a strong proponent of the potential civilian uses of rigid airships. As she proceeded on her way, Akron encountered severe weather which did not improve as she passed over Barnegat light at 2200 on the 3d. 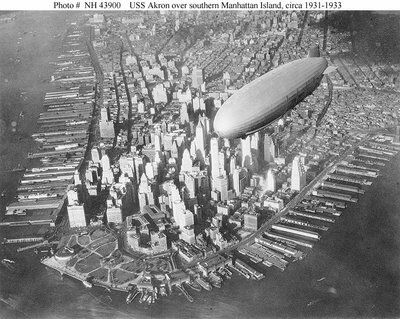 Wind gusts of terrific force struck the airship unmercifully around 0030 on 4 April, and pushed her down toward the sea. She crashed tail first and then sank in the stormy Atlantic. The German motorship Phoebus, in the vicinity, saw lights descending toward the ocean at about 0023 and altered course to starboard to investigate, thinking she was witnessing a plane crash. At 0055 on 4 April, Phoebus's men picked up Lt. Comdr. Henry V. Wiley, Akron's executive officer, unconscious, while a ship's boat picked up three more men: Chief Radioman Robert W. Copeland, Boatswain's Mate 2d Class Richard E. Deal, and Aviation Metalsmith 2d Class Moody E. Ervin. Despite desperate artificial respiration, Copeland never regained consciousness, but died on board Phoebus. Akron's loss spelled the beginning of the end for the rigid airship in the Navy, especially since one of its leading proponents, Rear Admiral William A. Moffett, perished with her, as did 72 other men. As President Roosevelt commented afterward: "The loss of the Akron with its crew of gallant officers and men is a n, 1972ational disaster. 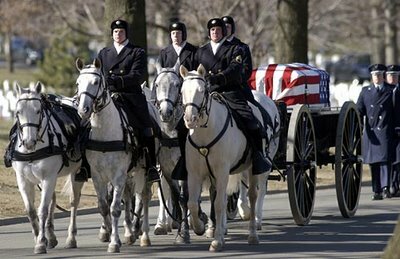 I grieve with the Nation and especially with the wives and families of the men who were lost. Ships can be replaced, but the Nation can ill afford to lose such men as Rear Admiral William A. Moffett and his shipmates who died with him upholding to the end the finest traditions of the United States Navy." The crew of Apollo 1: Grissom, White & Chaffee. On this date, at about 01:00 while on a support mission off the coast of Vietnam, an explosion that tore through the center barrel of Gun Turret #2, killed 20 of our shipmates. Some died in the explosion, others died of smoke inhalation. An eight inch projectile jammed inside the center barrel as it was being fired. The powder casing behind the projectile fired inside the barrel, causing an explosion which had no place to go but into the gunner's compartment. Smoke quickly spread throughout the ship putting many of us at risk. 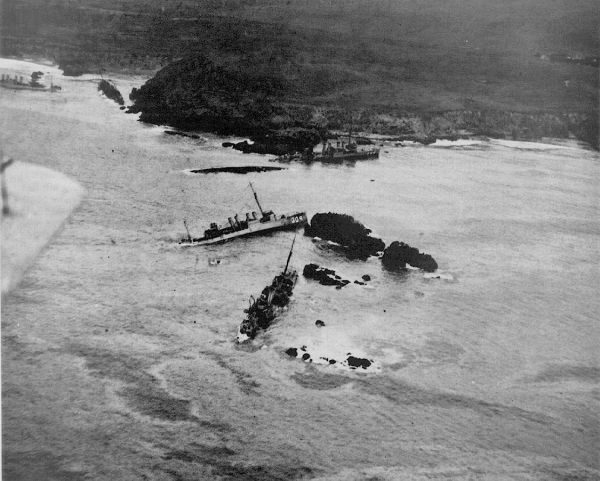 Most of the ships company survived but at least 20 did not. The eight dead of Desert One. Those who died "attacking in a different direction" with the Frozen Chosin. UPDATE: The 23 men who died in the grounding of DesRon 11 at Pt Honda. UPDATE2: The 11 Air Force personnel on the C-5 that crashed as part of Operation Baby lift. Just 15 minutes after take off - as the plane approached cruising altitude just over the South China Sea - the back doors blew out and, along with them, some crew, staff and children. The rudder control for the plane was lost, but the pilot was skillful and somehow was able to turn the plane back toward Saigon, however, with no control over speed of descent. Just outside of Saigon, the plane impacted in a rice field at 350 m.p.h., bounced over the Saigon River and eventually came to rest in a rice paddy a few miles from the airport. The pilot was later given well-deserved credit that anyone survived. UPDATE3: Mudville Gazette has a series of posts honoring heroes on Memorial Day. And at the Castle, a compelling series. The "Crash of Jolly Green 23" and Coast Guard Lt. Jack Rittichier. The thousands of others who names and faces we promised not to forget. Once a year we honor them all. Memorial Day. Five alleged sea pirates were arrested by Negrense fishermen Tuesday, but the head of the Masbate Provincial Bantay Dagat said they were his men and that their two other companions had been killed. Maritime Command Region 6 chief, Supt. Cornelio Salinas, Wednesday said sea pirates have been boarding fishing vessels within the waters of Iloilo and Negros and threatening owners that their boats will be seized and their crew arrested unless an amount, ranging from P100,000 to P500,000, is deposited in their account. The pirates radio the owners to deposit the amount sought in their account, and if they fail to do so their vessels are dragged to Masbate where the crew is charged for illegal fishing, he added. Roy Vijandre, president of the Commercial Fishing Boat Operators, who operates F/B Laura, yesterday said his crew had also been victimized by the five men apprehended at sea Tuesday who are now detained at the Cadiz City jail. It was Diosdado Briones, president of the Tri-Media Club of Masbate who has identified himself as the director of the Masbate Provincial Bantay Dagat, who demanded from him the payment of a P150,000 fine for the release of the F/B Laura, Vijandre said. The payment was deposited in a bank account named by Briones but no receipt was given to him, he added. The bank account number was 0901098905 in the name of Monseratt Nazareno Aguilar. The lack of a definite delineation of municipal waters has made it easy for unscrupulous groups in the high seas to charge vessels with illegal fishing, Vijandre said. We are vulnerable to their whims, something must be done about this, he said. U.S. and coalition naval forces are currently providing assistance to the Iraqis in the aftermath of an oil terminal fire that burned itself out this morning, U.S. military officials here reported today. Coalition Task Force 158, responsible for maritime security operations in the North Arabian Gulf, received a report of a fire on Khawr Al Amaya Oil Terminal at 8:52 a.m. local time. Initial reports indicate that contract work being performed on the KAAOT pumping system caused the fire. Several Iraqi personnel were injured in the fire. No U.S. personnel were injured. Most personnel aboard the terminal have been evacuated, with a small number remaining. KAAOT, the older of Iraq's two oil terminals, only provides about 5 percent of Iraq's oil distribution capacity, officials said. The other platform, the Al Basra Oil Terminal, is only a few kilometers away in the North Arabian Gulf. Both are important economic facilities for Iraq. Protecting these terminals covered here and links therein. As part of mock drills, warships participating in a large multinational exercise took off into the Turkish Mediterranean Friday in pursuit of a cargo ship said to be carrying weapons of mass destruction. The exercise, with 34 countries participating, was a practice session to prepare for intercepting weapons materials before they reach a country such as Iran, Turkey’s neighbour. Officials say co-operation-building exercises like this are crucial to keeping Iran or other countries from receiving shipments of materials that they could use to help build a nuclear weapon. There have been more than a dozen previous PSI exercises held in other countries, though Turkey says this one will be the largest yet. When South Korea agreed to participate in an earlier PSI exercise, North Korea, also believed to have a clandestine nuclear weapons programme, called it a “war crime” and threatened all-out nuclear war. The DPRK has achieved "expert" status in "war crimes." The Japan Coast Guard will conduct a large-scale training session with its counterparts from five other countries starting Saturday to prepare for suspicious vessels operating near Japan, officials said. Maritime security authorities from China, South Korea, Russia, the United States and Canada will join the drill on the assumption that a ship is heading for Vladivostok after refusing to submit necessary documents for a port call at Shanghai, the officials said. The drill, which was initiated by Japan, will be the largest such exercise involving the main countries along the North Pacific, they added. The training session will take place in waters stretching for about 2,000 kilometers in the East China Sea and the Sea of Japan until June 8. The main purpose of the drill is to coordinate efforts to prevent criminal activities, including illegal entry, drug smuggling and maritime terrorism, and to heighten the countries' abilities to bring terrorist attacks under control. It will be different from the U.S.-led Proliferation Security Initiative (PSI) to halt the spread of weapons of mass destruction. China and South Korea have yet to participate in the PSI. Maritime security talks among Japan, South Korea, Russia and the United States have been held since 2000 to discuss the development of an information-exchange system while engaging in theoretical exercises. Canada and China later joined the team. During the drill, a U.S. Coast Guard vessel will play the role of a freighter ship from a country that poses the risk of distributing weapons of mass destruction. The ship will head toward Russia after bypassing a port call at Shanghai. A JAMAICAN official has rejected overnight a warning by the International Maritime Bureau that the Caribbean country could be listed as a hot spot for piracy after a string of attacks on ships. Noel Hylton, president of the Port Authority of Jamaica, which manages shipping and ports matters, denied there had been any incidents of piracy in Jamaican territory in the first quarter of 2006. "Everybody seems to be getting excited about piracy in Jamaican waters, but all of that is mere excitement," Mr Hylton said. "There is no reason for Jamaica to be listed as an area in which piracy thrives. We have had no reports of piracy in Jamaican waters and only a few weeks ago did we lose some items on the wharf here when two men raided a ship that was docked and removed a few things. That is not piracy." well, it probably is "piracy" under the rather liberal definition used by the Piracy Reporting Center. Jamaica does make a reasonable point, though. No matter where a hurricane makes landfall, there are deepwater seaports close to the disaster area that can accept relief supplies and equipment delivered from the sea. 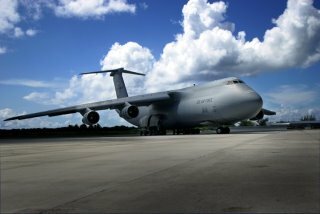 A pre-loaded relief ship could reach a disaster area 12 to 36 hours after a storm compared to the three to five days it took for significant relief tonnage to reach New Orleans by land and air following Hurricane Katrina. Seaports and other maritime assets should play an active, pre-planned role in hurricane recovery efforts, in addition to highway, rail or airlift, according to the report. "That would become extremely important should land or airlift access be cut off," said Whitehurst. The model for Hurricane Relief from the Sea uses military concepts of a reserve force of ships -- some loaded with military equipment and supplies and based at various ports in the United States and overseas, some empty but maintained in quick break-out status. The Ready Reserve Force maintained by the U.S. Maritime Administration is a fleet of relatively modern merchant-type ships that can be used in an emergency. When activated, these ships come under the operational control of U.S. Department of Defense's Military Sealift Command. Ready Reserve Force ships were activated in the Somalia peacekeeping operation (1992), in the Haiti Operation Democracy (1994), the Persian Gulf War (1990) and the Iraq War (2003). They have also been activated in support of non-military emergencies. There are two classes of ships suitable as hurricane relief vessels. Neither one is dependent on on-shore power or dock equipment to load and unload cargo. One type - the roll-on, roll-off - can be quickly loaded and unloaded because it holds wheeled vehicles. A single roll-on, roll-off ship can carry 18-wheel tractor-trailer combinations loaded with food and other types of relief supplies, fire equipment, law enforcement vehicles, ambulances and power and communication repair vehicles. 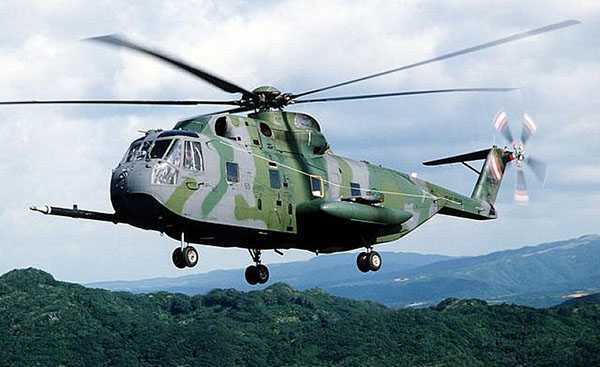 Many Ready Reserve Force ships have or can be fitted with a helicopter capability. The second type is the break-bulk freighter. Cargo, including containers and wheeled vehicles are stored in the holds or on deck. Containers can be off-loaded onto a dock or directly onto flatbed trucks. The ships can rely on their own power when power is not available on-shore. They can also be adapted to meet special requirements, such as serving as emergency medical or communications centers, feeding and housing hurricane victims and relief personnel, accommodating rescue helicopters and even supplying power to land-based units. In today's Wall Street Journal: "In Sri Lanka, there are reports of food shortages among survivors due to the conditionsitons of the roads and a shortage of vehicles. 'We have tons of food. We are, In fact, innundated,' World Food Program spokeswoman Selvi Sachithanandam told the Associated Press. The problem, she said, was a 'lack of channels: to deliver relief to outlying areas.'" Except for the ocean, that great highway of mankind. Start sending relief supplies on the water to the beach front areas devastated by the tidal waves. here, here, here, and here. 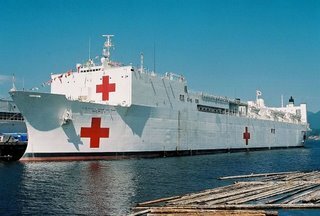 One of the early lessons out of Hurricane Katrina was that much of the early relief flowed from Navy and Coast Guard ships that raced to the area. I've been very pleased with the capabilities of Dell Computers and their incorporation of technologies in this project. The ship will have an onboard, large capacity Press Corps Room for interviews and disaster response updates, a Media Center (for processing data information and getting it out to the local stations that are still on the air), Publishing Center (for printing information needed (in volume) by emergency response crews and communities that have been hit). All of which will better enable the dissemination of disaster information to the public when it is needed most. A Mars Class US Navy Support Ship--similar to what we have designed for a disaster response platform. The "at sea" replenishment towers would be converted to hold 450' telescoping communication towers. This ship redesigned will be capable of supporting a 10,000 square mile disaster area virtually by itself. Satellite uplinks and 8 deployable 450' communications towers will ensure communications on land, sea, and air remain operational. Special computer and data centers onboard will allow different communication conduits to interact, such as- cell phones and hand held radios - 800mhz and military channels - all able to communicate with each other when needed. And, yes...the technology is proven, affordable, and it's FCC approved. The ship will be capable of bringing more than 90% of all area radio EMS, Fire/Rescue, and Police radio communications back online within 1 hour of the ship's arrival on scene. Since we would be closely following the hurricane right up through landfall, this means the ship will be able to restore emergency response communications before most Police and Fire Departments even realize they were knocked out. The emergency response center will have numerous wall screen display panels and assignment desks for over 75 Emergency Operations Center personnel (each with their own interconnected work station, communications, and computer). The Weather Center onboard the ship will also have the ability to transmit meteorological data to the National Hurricane Center in real time, as the ship follows the hurricane towards landfall. This ship will also carry 75,000 gallons of gasoline for emergency response purposes such as generators and police cars. It will carry 100,000 gallons of JP fuel for US Coast Guard and other military helicopters that use the ship's aft flight deck. It will also carry 780,000 of diesel fuel for emergency response vehicles and boats (fire departments and Coast Guard). All of this fuel can be transported and delivered by two 3,000 gallon tanker trucks carried onboard the ship to be used at the disaster scene. Each truck will have "run flat" tires and a "debris dozer blade" mounted on the front to help move trees and debris from the road as it moves from place to place. Four additional trucks, similarly outfitted will carry refer trailers (ice and perishables) and dry goods (food, clothing, shelters, equipment). A portable loading dock carried onboard the ship will allow up to 8 tractor trailers at once to be loaded with emergency cargo from the ship, such as bagged Ice and food--thus increasing the efficiency of the trucks available in the disaster area. Time spent traveling outside the disaster area to pick up supplies is time that could be spent loading locally and carrying more supplies...less fuel, less time in transport, means more emergency supplies to the victims and at less cost to the taxpayers. All trucks, fuels, and cargo will be in radio communication with the ship and will be monitored in the ship's Emergency Operations Center using GPS tracking. And you'd think that Members of Congress would get excited about this. We've heard very little out of DC about all of this Most staff members (who really run the Congressional offices) seem to care less about this bi-partisan effort. And to be completely fair, the Republicans have been little more responsive to what we are doing than the Democrats have been. Anyway, the US Coast Guard Auxiliary, Dell Computers, and a host of others we've been working with have been excited about this project and want to participate. Ah, the old "not invented here" problem. We are preparing to receive at least two ships (if everything goes as planned) to begin the conversion to Fast Attack Emergency Cargo Ships to respond to disaster incidences in Coastal States (East Coast, Gulf Coast, and in some instances West Coast). It is estimated that we can removed about 27% of the federal burden for Ice, Water, and food within the first 10 hours following a CAT-4 landfall. There is also the ability of providing climate controlled medical and staging facilities for up to 40 percent of the same disaster area. ----Fully integrated communications system serving all local, state, and federal agencies, as well as cell phone coverage and military band frequencies--allowing for seamless communications between all disaster scene personnel, no matter what radio frequency or cell phone is being used. .......and that's just one ship. It's time to realize that the government can't do it all during a disaster--we've got to roll up our sleeves and get to work to make sure the needs get met--one way or another. Best part? The first two ships can be ready before next hurricane season--if things go as planned and all of you help us as we've asked. You might want to see this for an estimate of activating MARAD Ready Reserve ships to undertake "relief from the sea." Now, how do we get the UN to actually plan ahead? Charter boat used in human smuggling in South Texas? Mack Daniel Bryant charged with using his charter boat to smuggle "undocumented immigrants" (read illegal trespassers in the US) from Port Isbel, Texas to Corpus Christi, Texas, a move that would get around Border Patrol checkpoints (I spent 6 years driving from Corpus to Houston and never ever saw a checkpoint) as reported here. Bryant’s ship hand, Baldemar Valdez, and three of the six undocumented immigrants remain in custody in Corpus Christi under a separate human smuggling case there. Federal prosecutors in Brownsville also charged Luis Alberto Gutierrez-Zapien with a human smuggling based on Bryant’s case. According to a criminal complaint, Gutierrez-Zapien paid Bryant’s manager Roger Moore $9,000 to smuggle the six immigrants from South Padre Island to Corpus Christi on Sunday. It was probably more comfortable than being in a closed cargo container. 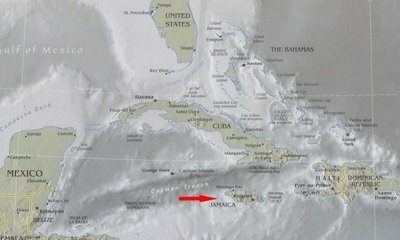 A string of attacks on ships in Caribbean waters could torpedo Jamaica's plans to create one of the major trans-shipment points in the hemisphere. 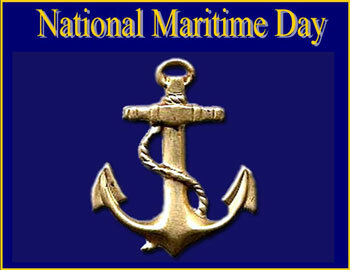 That is according to reports in the international media which quote the world's leading maritime institution. The report says several attacks on ships by pirates in the Caribbean in the first quarter of 2006 might prompt the International Maritime Bureau to list Jamaica as a hot spot for piracy. According to the report, head of the piracy reporting centre at the Maritime Bureau, Noel Chong, says it is monitoring the situation and will list Jamaica if the attacks continue. In the period January to March 2006, three attacks in Jamaican waters were reported to the Maritime Bureau. If Jamaica is designated a hot spot, ship owners may consider adding a premium on freight rates and bulk carriers plying the Caribbean routes. This would make it less attractive for ships to come to Jamaica's ports and would affect plans to create a major trans-shipment centre. Latest ICC Commercial Crime Services Piracy Report to 22 May 2006 is here, and reports two attempts at boarding ships off Jamaica. 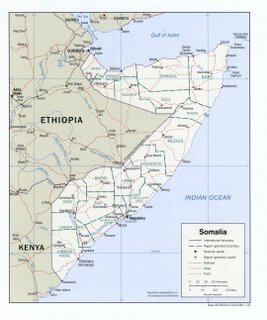 Heavy fighting is intensifying in the Somali capital, Mogadishu, with at least 30 people killed and many others wounded in a gun battle. The fighting is between militia loyal to the Islamic Courts and the Anti-Terrorism Alliance, a secular grouping of warlords. The latest upsurge in violence comes despite a truce being agreed between the two groups 10 days ago. More than 140 people died in eight days of fighting earlier this month. 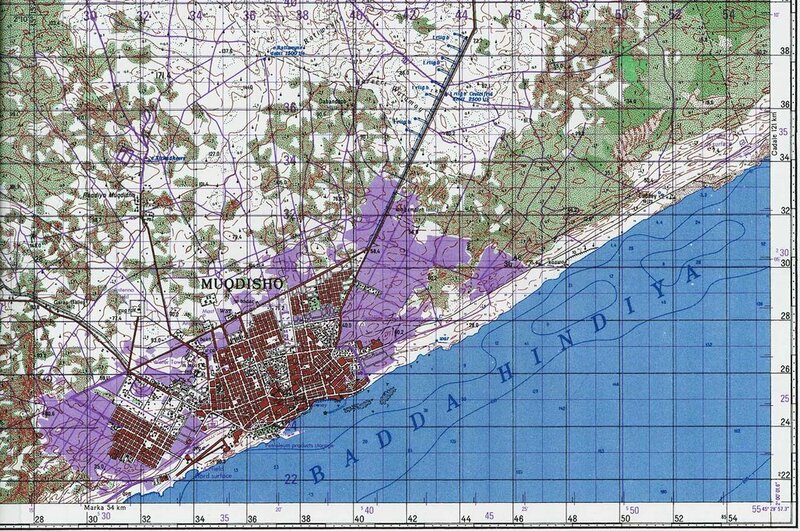 Most of the recent fighting has been in northern Mogadishu but heavy fighting has now spread to southern districts. Witnesses say Islamic militiamen had taken over a key hotel, the Sahafi Hotel, just south of the K4 area in the south of the capital. Policemen recovered an M-16 armalite rifle with serial number RP103833, a KG9 9mm machine pistol with serial number 961342, four magazines of M-16 containing ammunition, DYME identification cards and cellular phones from the arrested suspects, Supt. Norberto Boston, Cadiz police chief, said. Boston said the 30 crew members of the fishing boat who were alerted of piracy activities of armed men in the high seas of Iloilo, Masbate, Cebu, and Negros Occidental, pounced on the armed suspects and managed to disarm them, while boarding their fishing vessel. Jose Ariel Resquite, trainee Sonar operator of F/B Cadiz City, told Aksyon Radyo that a dozen men boarded their boat around 2 a.m. yesterday, while they were navigating the waters near Isla Higantes off the coast of Carles town in Iloilo province. "The crew was already prepared for them," Roy Vijandre, president of the Negros Occidental Commercial Fishing Boat operators. Vijandre recounted that Be told him during an early morning call that the alleged pirates first boarded the lifeboat accompanying F/B Cadiz City and got fuel from it. The pumpboat then made its way to the purseiner but the captain of F/B Laura, Sergio Escala, of Bantayan, Cebu, had already been alerted by the operator of the lifeboat. A firefight nearly ensued because some of the crewmembers led by an ex-Army man were also armed. A scuffle took place but the 30 crewmembers overpowered the alleged pirates. Seven of them, however, managed to escape and even cut loose the pumpboat that was already tied to the F/B Cadiz City. The "pirates" allege they were innocently engaged in anti-illegal fishing patrol and merely wanted to borrow some fuel for their boat. Connected article on "illegal" fishing in the area here. One for the courts to sort through. UPDATE: 5/25/06 More charges being brought by more victims of these pirates, as indicated here. UPDATE: 5/26/06 A row breaks out about the "pirates" and illegal fishing. Reported here. Some political fun. he Strait of Melaka is no longer a hotspot for piracy and as such there is no justification in the continued inclusion of the waterway as one of the "high risk" zones in the world, a senior International Maritime Bureau (IMB) official said. 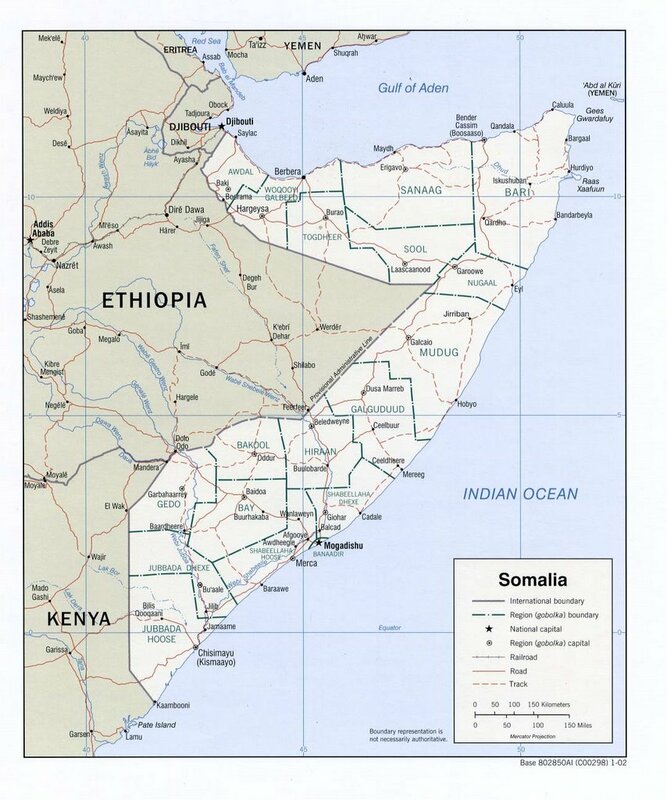 Capt Pottengal Mukundan, Director of the Kuala Lumpur-based International Chamber of Commerce (ICC)-IMB, said the high-risk areas at the moment are in Somalia and the estuaries in Nigeria. "So, the Melaka Strait is not a hotspot in the world anymore. According to our statistics, it is not a problem at the moment," he told Bernama after sitting as a panellist at a roundtable discussion on security in the Melaka and Singapore Straits, Tuesday. In the front lines against terrorism, sometimes a decision made in a split second may save lives even at the cost of one's own life. From LankaWeb News comes the story of the Sri Lankan Navy taking on Tamil Tiger terrorists and saving the lives of 710 men at the cost of 18 brave sailors. On 11th May 2006, P 418 was assigned to patrol the seas off terrorists dominated coastline Chalai in the North-eastern coast of Sri Lanka. His crew comprised of 18 men, including one Signalman from Sri Lanka Army. His Third-In-Command, Sub Liuetenant Dinesh Harshjeewa Rathnayake was a batchtop cadet who was trained in Britannia Royal Naval College, Dratmouth UK. He was by his side when they sensed that the terrorists were up to something. 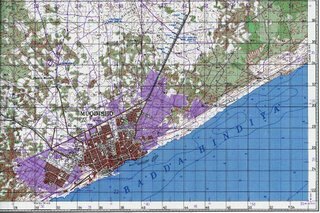 The terrorists, LTTE sea tigers were observed to be gathering off the coastline of Vettalaikerni, a fishing village at the coastline since mid afternoon by the patrolling FACs. They observed terrorists fibre glass boats fitted with medium calibre weapons and lethal weapons gathering very close to the coastline about 50-100 meters from the shoreline and also the presence of at least four suicide craft. The suicide craft distinguishable from their features had been the most lethal weapon terrorists used and Navy have good experience in encountering them in earlier confrontations. Since terrorists intentions were hostile, the patrolling FACs requested re-enforcements and another two FACS arrived at the location. Having assessed the tactical picture they decided to form a barrier at a distance of 5 Nautical miles from land since Passenger Vessel Pearl Cruise was on the way from Trincomalee with 710 Service, Police personnel and few civilians. This vessel sails almost on daily basis, transporting Service personnel from Kankasanthurai to Trincomalee and back. The vessel was escorted by another two FACs and one Fast Gun Boat. They were about 25 miles from the terrorists gathering which by now has increased to 16 attack craft and 4 suicide boats. FACs could only observe the gathering and report since attacking the terrorists boats at that close to shoreline could hurt innocent fishing folks of the fishing hamlets along the coastline. SL Navy men has to look after all Sri Lankans. It was the terrorists that made the first move by speeding towards the passenger vessel. Having realised the gravity of the situation the four FACs singlehandedly decided to confront the terrorists without waiting for further re-enforcements. Against overwhelming numbers of terrorist boats fitted with wide variety of weapons such as 23mm, 14.5mm and supported by terrorists’s never-to-operate-without suicide boats, the balance of power favoured the terrorists. Undeterred men in blues took up their position, donned their body armours and allowed terrorists to come away from land. One of the FACs, P 497 commanded by Lieutenant Lakshitha Rathnathilake reported over the radio that whilst increasing to combat speed one of his main engines had stopped. Senior most officer on the scene. Commander Lalith Prasanna Edirisinghe who was just 1500m away from his troubled buddy promptly responded and manoeuvred his craft between the approaching cluster of terrorist boats and the troubled P 497. Proving his valour and outstanding officer qualities he engaged the terrorists cluster in order to give time for his buddy to get the engine re-started. Having done the re-starting well under two minutes, Lakshitha Rathnathilake informed his superior officer, Lalith Edirisinghe that he is ready once again. By this time Lalith Edirisinghe has spotted the unusually big suicide boat coming out with the terrorists cluster. With his experience he knew what the big suicide boat was for. Whilst Lakshitha Rathnathilake was pulling out, he observed that his senior officer was heading straight to this large suicide boatwhile avoiding several terrorists attack crafts. Before he could speak over the radio, there was a cracking in the communication set and with that a huge explosion was observed at some 1500m away from him. As the smoke cleared he could not see P 418, not even the wreck. It was Lalith Edirisinghe, being the senior officer in the theatre of operation, took charge of the developing situation and decided to sacrifice his life and the 18 of his men in order to ensure that the Pearl Cruise with 710 lives is safe. Of such actions, legends are made. Render honors. UPDATE: Post about the battle. More on the Tigers here. Latest ICC Commercial Crime Services Piracy Report to 22 May 2006 is here. 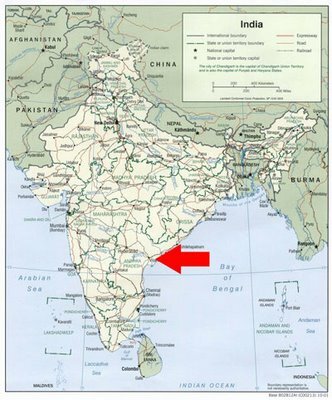 Highlights include a warning about the 19 incidents of piracy in Chittagong anchorage, Bangladesh, some attempted boarding in Jamaica, Singapore Straits, the Arabian Sea and the previously reported assault on a Russian ship off Guinea (see here). 30.04.2006 at river Krishna, Andhra Pradesh, India. Four armed Maoist and a female accomplice boarded as passengers onboard two passenger vessels. Most of the passengers and crew were forced to disembarked but ten people were held as hostages. The hostages were later freed and the Maoists blew up the vessels. The hijackers were then pursued by armed police as they tried to escape. Police in southern India have killed five Maoists who hijacked two tourist boats and took about 10 people hostage. Sunday night police shot dead the four hijackers and a woman accomplice after a five-hour chase on the River Krishna in Andhra Pradesh state, Press Trust of India reported. The hijackers, disguised as passengers, boarded the ships Sunday morning and quickly pulled out their guns. They forced most of the 234 passengers and 35 crew members to disembark, keeping about 10 people as hostages. 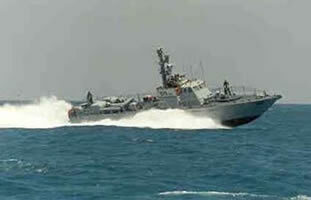 The Maoists later freed the crew, blew up the boats and were fleeing when the police followed them and gunned them down. All of the tourists, who reportedly were on an outing to an island museum, were brought back safely. The Maoists said the hijacking was done in reaction to the police killing of nine of their comrades three days earlier. Friday four Maoists, including a woman district leader, were killed in an encounter with police in the Tadvai forest area of Andhra Pradesh. At this rate, the "Maoists" are going to be very miffed, even as their numbers are dwindling in some sort of Darwinian manner. I mean, "Maoists?" People in favor of this sort of thing? Red arrow points to River Krishna area. The PWG also established links with the Maoist Communist Centre of Bihar and the left-wing rebels active in neighbouring Nepal. While the group has since spread its area of influence to other parts of India - it is most active in Andhra Pradesh, Orissa, Chhattisgarh and Maharashtra. There were reports that the group was in talks with other left-wing rebel organisations to try to establish a "revolutionary zone" from Nepal to Andhra Pradesh. No one knows the exact strength of the group - but official assessments vary from a 600-strong cadre in Andhra Pradesh to about 3,500 across India. But there has been a sharp decline in the quality of recruits recently. While its revolutionary ideas used to attract educated professionals, the lure of money and power led many criminals to join the group in the 1990s. The organisation now largely relies on extortion to fund its activities, reportedly collecting between five and $10m a year. PWG, for those of you who decide to not hit the link, stands for People's War Group. In the past I have expressed concern over radical Islamist groups that are funding or may attempt to fund their activities with hijacking of vessels and their crews for ransom. The PWG may be in that mold, although apparently unsuccessful this time. Turkish trial of would-be ship bomber halted by his "protest"
A judge barred a Syrian al-Qaeda suspect from a courtroom on Monday because he wore an orange jumpsuit, in an apparent protest of the treatment of detainees at the U.S. prison at Guantanamo Bay. Police said Loa'i Mohammad Haj Bakr al-Saqa, accused of masterminding the deadly 2003 bombings in Istanbul, had been wearing normal clothes when he left for the courtroom but then removed them while on the way in the prison van. He wore a thick beard and shouted "Allahu Akbar!" -- Arabic for "God is great!" -- as he was escorted by Turkish military police to the courthouse. Turkey has no prison uniforms, so prisoners are allowed to wear their own clothes. Police said they did not know how al-Saqa had brought the special clothing, which was a yellowish-orange approximation of the color of prisoners' jumpsuits at Guantanamo. Al-Saqa was arrested in the southern port city of Antalya in August after explosives accidentally went off in a building he was using as a safe house, forcing him to flee, authorities say. His lawyer, Levent Doğus, said Monday that al-Saqa had led militants to fight Americans in Iraq, but never planned any attacks in Turkey. The explosives in Antalya were meant for an attack on an Israeli cruise ship on the high seas, Dogus said. Turkish officials say al-Saqa planned to blow up Israeli cruise ships in the Mediterranean. He has been charged with trying to overthrow Turkey's secular government. Prosecutors claim that Osama bin Laden personally ordered al-Saqa, 32, to carry out terrorist attacks in this predominantly Muslim and pro-Western country. He is accused of serving as a point man between al-Qaeda and homegrown militants behind the November 2003 bombings, which destroyed a British bank, the British Consulate and two synagogues, an indictment said. It said al-Saqa gave the Turkish militants about $170,000. Prosecutors have demanded life in prison for al-Saqa, calling him "a high-level al-Qaeda official with a special mission." Al-Saqa's lawyer on Monday said his client was imprisoned for his enmity against the United States and his actions in Iraq, and requested that he be considered a prisoner of war. Nice defense work. More on Saqa here and at links therein. located in Antalya, Turkey, aroused suspicions after a sharp smell of chemicals began spreading in the vicinity of the fire. Police said they found incriminating evidence, including the suspect’s passport. As a result of the recent Turkish anti-terror efforts, the Israeli Counter Terrorism Bureau downgraded its Turkey terror warning (LM, FP, REUTERS). I wonder what part of his attack on Israel and America the setting fire to his neighborhood was? The first two breath-alcohol tests, using an expired calibration gas canister, found Petridis' alcohol content to be 0.095 and 0.099. "While conducting the tests, (Chief Warrant Officer Eric) Mathews also observed that Petridis' eyes were bloodshot and red," Baker wrote. "Mathews also noticed that Petridis seemed excited and on edge, and was easily agitated during the contact." After being removed from duty at 5 p.m. and then taken to the Seattle Police Department's West Precinct, prosecutors say, he was given two more breath tests resulting in blood-alcohol readings of 0.181 and 0.176. The federal limit for operating a vessel in U.S. waters is 0.040. UPDATE: Naturally, the captain has a defense. He says he was "off duty." 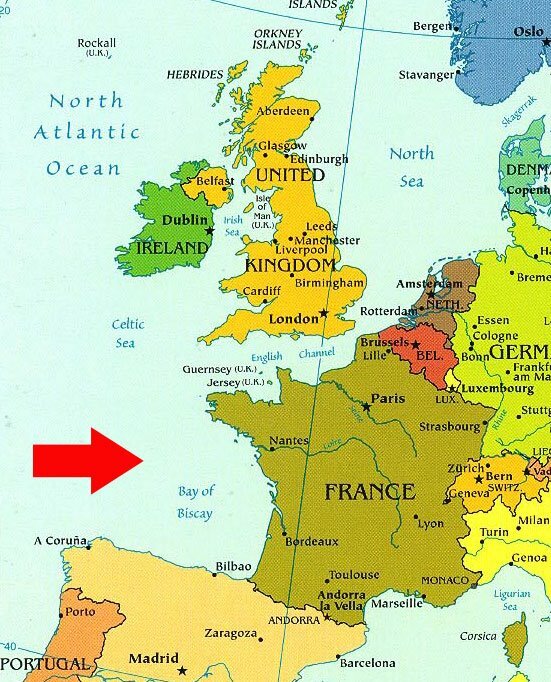 A FREAK wave smashed into one of the world’s largest ferries in the Bay of Biscay, terrifying passengers and forcing the ship to divert to a French harbour. The wave, estimated at between 40ft (12m) and 50ft high, crashed into the Pont-Aven, the flagship of the Brittany Ferries fleet, at 10.25pm on Sunday, smashing windows and injuring at least six people. Cabins more than 50ft above the waterline were flooded. Passengers described seeing a wall of water, followed by an explosion and then seeing people running around covered in blood after being hit by glass. The 41,000-tonne Pont-Aven, which was sailing from Plymouth to Santander in northern Spain, was forced to pull into the French port of Roscoff for emergency repairs. Earlier posts of rogue waves here and here..
Small liquid gas or chemical tankers sailing the Malacca Strait, one of the world's busiest shipping lanes, face the biggest risk of a terror attack, a Singapore thinktank said. A paper from the Institute of Defence and Strategic Studies also said local shipping was more likely to come under attack from terrorists or pirates than mainline traffic. Concern has increased in recent years that terrorists may hit shipping, or use ships as floating bombs in the Strait, which carries some 40 per cent of the world's trade, including 80 percent of the energy supplies of Japan and China. 'Relatively few actual attacks occur on large mainline through traffic vessels...For example, of the actual attacks in 2005, only two were on through traffic vessels,' the report said. 'Due to the relative vulnerability of smaller and slower vessels, the greatest threat to a port might in fact come from a small LPG (liquefied petroleum gas) or chemical tanker rather than the larger vessels, which tend to attract the most security attention at present,' the report said. Remember when people were concerned that their speech might cost American lives? Hugo Chavez as international bad boy, set out very well here. Chavez’s pledge to increase oil sales to China could boost supertanker rates because the longer voyage means fewer ships will be available, London-based Drewry Shipping Consultants Ltd said in a report. China may boost oil purchases from Venezuela to 300,000bpd by the end of the year from about 12,000bpd in 2004, Venezuelan Energy and Oil Minister Rafael Ramirez said on January. 31. Most of the oil will be shipped on supertankers, or very large crude carriers, designed to carry 2mn-barrel cargoes on long-haul voyages. “With Venezuela taking decisive steps of turning away oil exports from the US and moving them towards China,’’ ships engaged in longer-haul voyages will be unavailable for rehire for a longer period, the report said. Supertanker rates have fallen for the past two years. In 2004, a tanker hauling a cargo from the Arabian Gulf to Japan, a benchmark voyage, earned $95,258 per day, according to information compiled by Drewry Shipping. 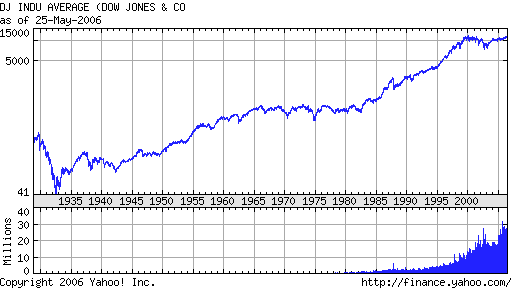 Last year that fell by 38% to $59,058. Drewry expects declines until 2009. Venezuela would require one VLCC per week if it manages to supply China with 300,000bpd. According to Drewry Shipping, there are 492 VLCCs in the global fleet, with 119 to be built by 2009. Oh, yes, Chavez also says that he has "total control" over several offshore oil projects...see here. Montenegro says "no" to being part of Serbia as reported here. surprised it took them so long. Is Kosovo next? UPDATE (5/22/06): Kosovo status talks to intensify. I bet they will. Get ready for "Greater Albania." It is a sea of change in the making. The international community is finally beginning to look beyond the LTTE; the world is expressing a growing interest in a democratic, civilised Tamil alternative to the Tigers. The EU’s rejection of the sole representative fallacy is in the main due to the abominable nature and the execrable conduct of the self professed sole representative. The Tigers, by their own actions, have placed themselves so much beyond the pale that the need for a different, non-Tiger representation for the Tamils has become self-evident The million dollar question is whether the anti-Tiger Tamils can transform themselves to fill the political void that is being created by this increasing international de-legitimisation of the LTTE. This bears repetition because it has lessons for those of us in the anti-Tiger camp as well – the increasing international isolation of the LTTE is in the main due to the untiring efforts of the Tigers themselves. As the latest EU resolution clearly indicates, the woes of the Tiger are of the Tiger’s own making. The LTTE is being punished not because it is a separatist movement or because it is an armed movement; the LTTE is being punished because of its terrorism and the crimes it is committing against the Tamil people, particularly civilian killings, child conscription and extortion in the Diaspora. Consequently the credit for the EU ban should, in the main, go to Mr. Pirapaharan; without his persistent barbarism this would not have been possible. The ‘Black Sea Tiger’ attack on the Pearl II cruiser was probably the proverbial straw which broke the camel’s back – in the case of both the US and the EU. 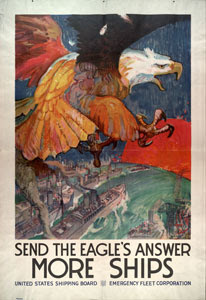 The Tigers are regarded as pioneers in naval terrorism. 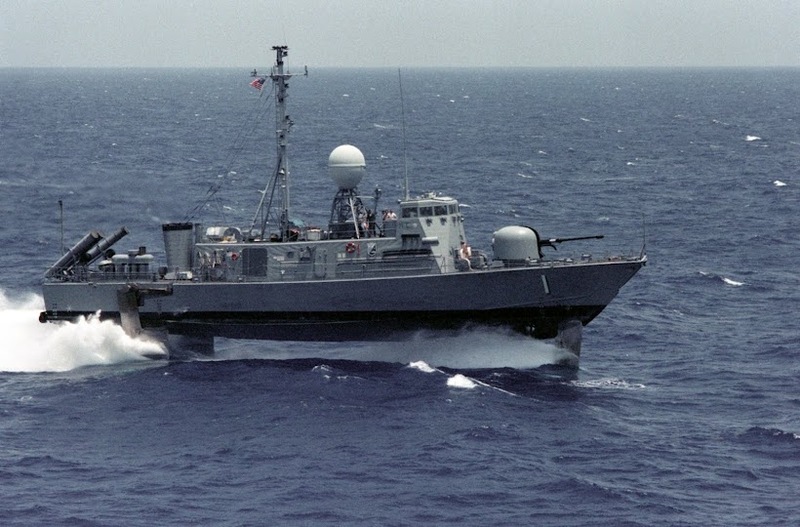 The suicide attack on the USS Cole was not the only time an Islamic terrorist group used tactics pioneered by the Tigers against Western targets; according to Maritime Intelligence Group the attackers of the French tanker Limburg (in 2002 near Yemen) also copied LTTE methods. The Report of the Conference on ‘Maritime Security in the Asia Pacific’ organised by the Institute of Defence and Strategic Studies opines that “the maritime strike capabilities of the LTTE maybe indicative of maritime terrorism in the future”. According to Michael Richardson of the Maritime Intelligence Group “the LTTE provides a case study of how terrorist groups can use ships” (A Time Bomb for Global Trade – Maritime Related Terrorism in an Age of Weapons of Mass Destruction). The international community therefore cannot turn a blind eye to the acts of terrorism by the LTTE; true the Tigers are not a direct threat to any Western power; but they constitute an indirect threat since their tactics are being studied and copied by other terrorist groups at war with the Western world. Sometimes the veil gets lifted and the ugliness underneath is revealed. Earlier posts on the Tigers here and here and links therein. UPDATE2: You really ought to read the Michael Richardson article linked above and here. Add Yemen and Sri Lanka to the places insurers wish their ships didn't sail as reported here. Money talks and BS walks, and LLoyd's is not buying the Yemeni "our waters are safe" sales pitch. Sir Lankan pleas also fell on deaf ears beause of the reality that Tamil Tiger forces are the world's most active terrorists on the sea. Mr Washbourn estimated that a large container ship worth $75 million (£40 million)would pay about 0.02 per cent of its worth, or $15,000, for an annual insurance policy, which would cover the vessel to make unlimited visits to the world’s safe ports for 12 months. However, the ship would have to pay the same amount for every single visit that it made to a port on the “enhanced risks” list, he said. 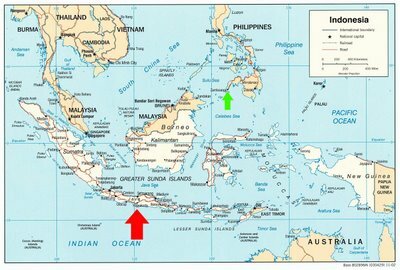 Also added to the list is the Strait of Malacca, which separates Sumatra from the Malay Peninsula, because of the rapid rise in piracy. Areas on the list are reviewed every four months by the committee in consultation with Aegis, the global security consultants. Yemen and Sri Lanka had been removed from the list last only June after a diminution of hostilities. Just over a week ago, nearly 70 people were killed in a sea battle between the Tamil Tigers and Sri Lankan government forces after the rebels attacked a naval transporter and sank another vessel. The separatist ethnic conflict in Sri Lanka has claimed more than 60,000 lives since 1972. More than 200 people have been killed since the beginning of the month as a peace agreement brokered in 2002 failed. The Tigers, who are fighting for a separate homeland for ethnic Tamils in the north and east of the island, were blacklisted yesterday by the European Union as terrorists, which some experts fear could lead to a civil war as the rebels decide that they have no choice but to escalate to full-scale war. In Yemen, inclusion on the “enhanced risks” list was prompted by the escape from jail in February by 22 suspected or convicted al-Qaeda members, some of whom where involved in the attacks on the Limburg and the USS Cole. 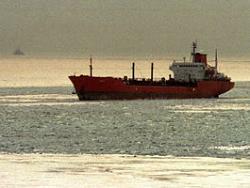 In 2002 an explosive-laden dinghy rammed the Limburg, a tanker carrying 397,000 barrels of crude oil from Iran to Malaysia. She caught fire and leaked 90,000 barrels of oil into the Gulf of Aden, running up a $45 million damage bill. One of the tanker’s crew was killed and 12 others were injured. Al-Qaeda claimed responsibility for the attack. The mastermind of the assault was believed also to be responsible for the bombing in 2000 of the USS Cole, an American warship, in Aden. 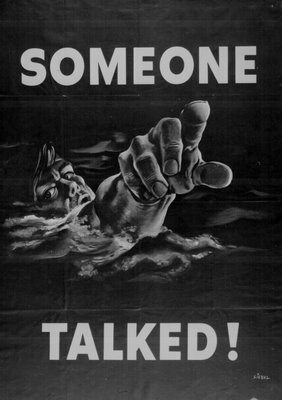 The suicide-dinghy attack killed 17 American sailors and injured 39 others. The recent additions to the “enhanced risks” list come after the decision by the war risk committee last November to make a significant change to its 318-year history as a marine insurer. The countries bordering the Strait of Malacca are getting their anti-piracy act together, but Sri Lanka, Yemen and Somalia are not even close to being under control. I would expect Nigeria and Guinea to be getting closer looks, too, though Nigeria has already made the hit list. The Shkotovo tanker of the Primorye sea shipping company was attacked by pirates 55 miles off the Guinea port of Conakry. A high-speed cutter of six armed pirates reached the tanker and they embarked, the tanker captain informed the Vladivostok maritime search and rescue center at 6:15 p.m. local time. The captain had to give the ship money to the pirates, and they left. None of the 20 crewmembers was hurt. 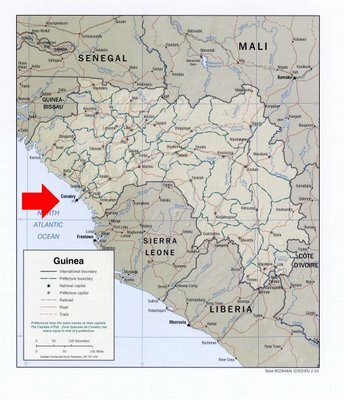 Frequent attacks by Guinean pirates on Chinese fishing vessels operating in Sierra Leone's territorial waters because of lack of protection by the naval wing of the RSLAF may give cause for the Chinese to scale down their fishing operations in the country to a bare minimum as they go in search of new fishing grounds within the sub-region that are considered safer. One of the recent victims, Mr. Cherili Then, the captain of Okfish-19, one of the registered fishing Chinese fishing vessels said through business partner, Okeky Fishing Agency, they are paying a high royalty and licence fees to the government besides the supply of fish to the nation but they operate under very difficult and hazardous condition especially as they lack armed protection from the country's naval wing. The Chinese, who suspect the pirates to be Guinean soldiers, say they are afraid now to operate on the high seas because they are apparently being told that Lungi, Yelibouya, Santana and Bonthe islands all belong to Guinea and that they will spare no one who enters these waters without their permission. He said they very often take over their vessels and forcefully convey them to Conakry where they will loot the boat before releasing it. In the process of looting, the captain was beaten up and all his personal belongings and that of his crew stolen. 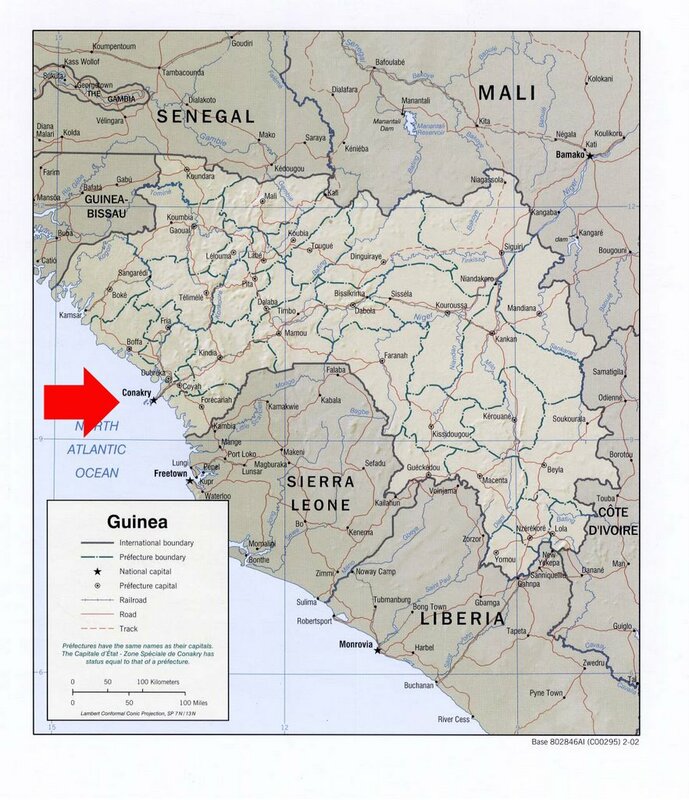 When they contacted the navy for rescue, they could not respond because, according to officials, they do not have adequate boats to chase the Guinean pirates. Today is "Rope Yarn Sunday" at EagleSpeak. Feel free to wander around and enjoy yourself. Navy Special Clearance Team 1, established on 1 October 2002 from the experimental Very Shallow Water detachment, operated from the USS Gunston Hall (LSD-44) before relocating ashore in Umm Qasr. This team consists of Navy SEALS, Marine Corps Force Reconnaissance divers, EOD divers, marine mammals, and the Navy's first operational unmanned underwater vehicle (UUV) detachment. 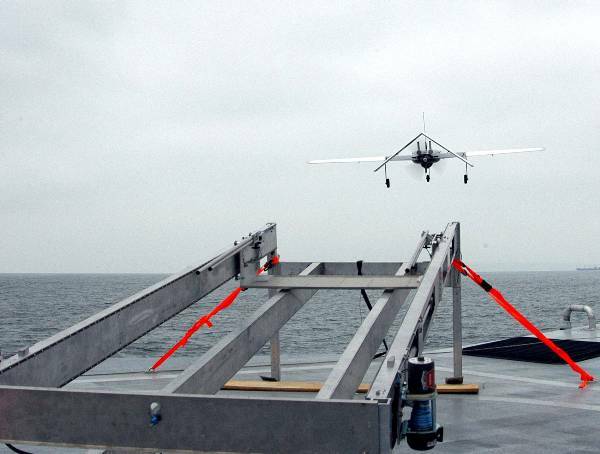 The team's wartime role is to prepare covertly near shore areas for amphibious assaults, so port clearance was well within its capabilities. UPDATE: More on the exercise here. Also includes (at no extra charge!) info on the Manta UAV. Go - read "In From the Cold"
Oil tanker business to boom? Some updates on the "Raft Man"
Baloney: Stay at home mom "salary"